Do you think Jon Arbuckle is funny? Do you like the live action films? I have 11 scrap books full with newspaper cut outs of garfield desenhos animados ... they worth anything? 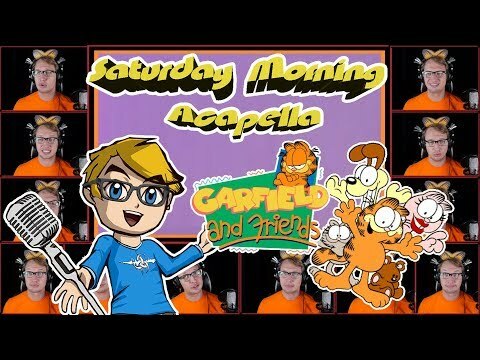 por any chance do any of you noticed ANY inconsistencies within the garfield comic strips? What do you like most about Garfield? garfield is a comic strip that was created and written por Jim Davis. It stars a eccentric comida lover named garfield and his goofy caretaker Jon Arbuckle. My list is about the best characters from the garfield franchise. Binky is a recurring character. Binky is a clown that Jon Arbuckle is a fã of. Binky is a fun and goofy character. The franchise needs mais of him. PAWS Inc. and Jim Davis have donated an original, signed picture of garfield to Masterworks Chorale in Muncie Indiana. All proceeds from the auction will go toward supporting Masterworks Chorale's 2014-2015 show, concerto season. To see the artwork and to place a bid, visit auction.4masterworks.org. Click on the garfield image to see the entire picture and descrição of the artwork, valued por PAWS Inc. at $600. a pop quiz question foi adicionado: What does garfield yell out? a pop quiz question foi adicionado: What breed of cat does garfield closely resemble? a poll foi adicionado: When is odie's birthday? When garfield was jealous of Liz, how did he become friends with her after?